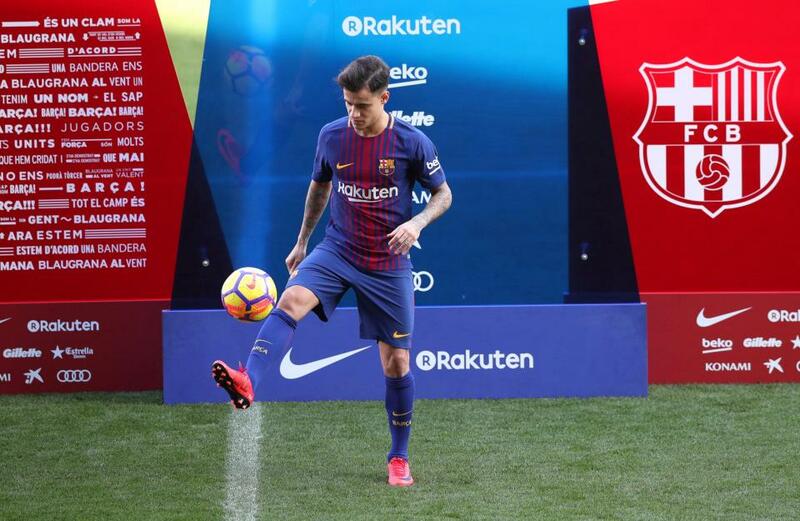 Philippe Coutinho completed is move to Barcelona yesterday and he was unveiled early today. 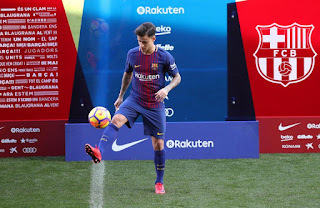 However, the hope of FC Barcelona fans of seeing their star signing on the field soon has been dash because during Coutinho medical, the scan showed that the 25-year-old has a slight issue with his right thigh. This means Coutinho will miss Barcelona cup game this week with couple of La liga matches. During Coutinho unveiling early today, the Brazilian reveal his desire for the club and how happy he is that he will be playing alongside Barcelona great players. He said: "It is incredible to know I will be around idols, with players who have such a great history like Leo Messi, Luis Suarez, Andres Iniesta, Gerard Pique, Sergio Busquests - all the great players." "To be able to play football, win titles, make the fans happy and play with a smile. These are the objectives." He continued: "I am very happy to know I will be playing with them and I hope to be able to learn, live and win together." "I am very happy. I have always said I am living a dream, we are very happy to be here." What do you think about Coutinho's move to Barcelona?